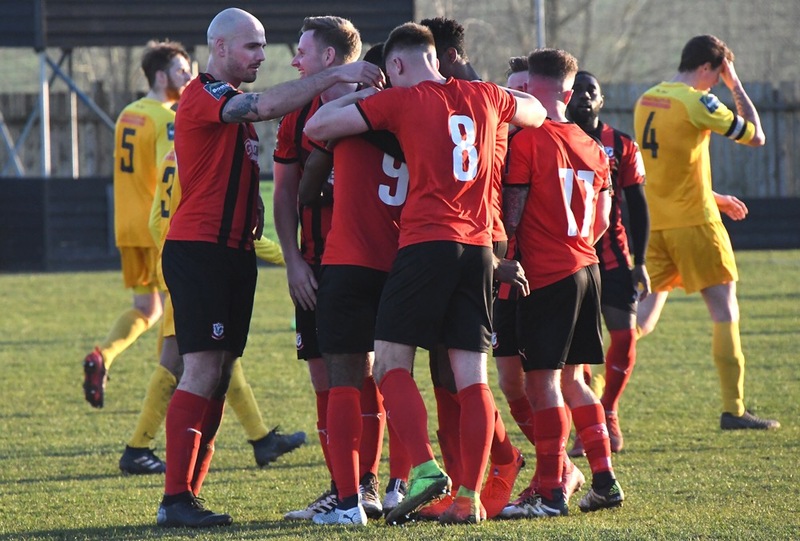 Coggeshall Town have secured a play-off semi-final place in their first season competing at step 4 in the Isthmian League Divison One North. With Sudbury loosing on Saturday against Dereham and “The Town” picking up a point on the road at Great Wakering Rovers with just ten men, it resulted in the SeedGrowers guaranteeing themselves a play-off place. Our semi-final opponents will be determined by where we finish in the league table. The team who finishes second in the league, will be at home against the team in fifth place come the end of the season. The side who finishes in third place will then welcome the team who finishes in fourth place, after the final game of the season. What has been confirmed is who our opponents might be, with Maldon & Tiptree, Heybridge Swifts & Aveley also having confirmed their place in the play-off semi-final. Currently, only three points separating the four games with Maldon on 68 points, Heybridge on 67 points whilst the SeedGrowers and Aveley both on 65 points with all four teams having played 33 games – leaving five games left. The date for the semi-final is Wednesday 1st May, with the final taking place on Sunday 5th May , the venue for the final will be at the home of the team who finished highest in the league out of the final two teams. It goes without saying, that this is a magnificent achievement for the team at the first time of asking.